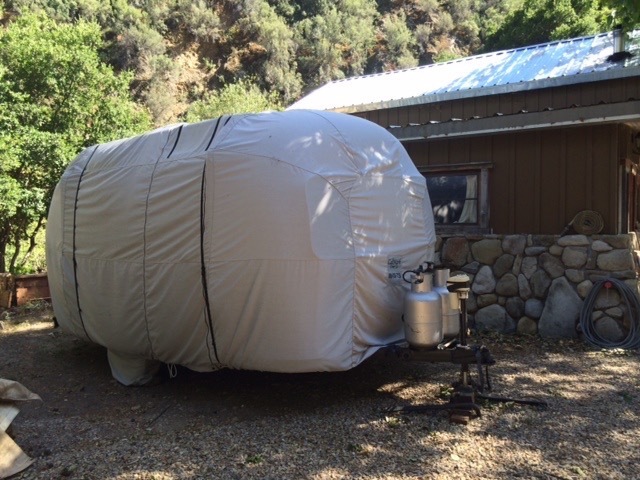 An Airstream Trailer cover from Calmark Cover Company is made to order – cut to fit the exact length, width and height of your Airstream. It comes with a custom zipper door for easy access and our FSR construction and friction reducer tie straps – AND our exclusive new feature, the “Quick and Easy Tie Down System”. CalMark RV covers are breathable, water resistant, non-abrasive and mildew and dry rot resistant.